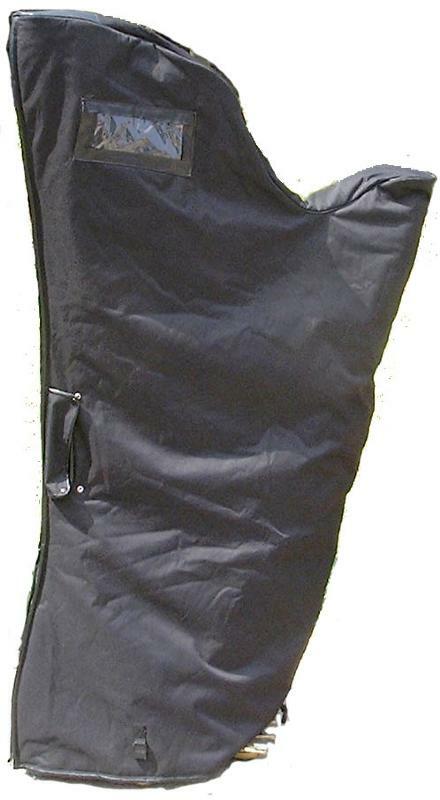 Black, heavy duty cover for large pedal harps. Professional quality for working harpists who regularly transport their harp. With zip front, hand hold at front and back for easy carrying. Thick velvet lining.